Mercedes preparing for life after Brawn? 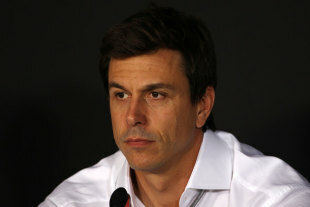 Toto Wolff has become an executive director of the Mercedes Formula One team and is set to become a shareholder. Wolff has left Williams, in which he is also a shareholder, to join Mercedes where he will acquire a "significant minority interest". He will become executive director of Mercedes-Benz Grand Prix Ltd and will complete the F1 team's management line-up alongside Ross Brawn and three-time champion Niki Lauda, who is also set to become a shareholder in the team. Wolff will take over the coordination of all Mercedes-Benz motorsport activities, a responsibility previously held by Norbert Haug. "As an entrepreneur, investor and motorsport manager, Toto Wolff has proven that this sport runs in his blood; at the same time, he is also well aware of the economic necessities of the business, "Dr. Dieter Zetsche, Head of Mercedes-Benz Cars said. "With Toto Wolff, we have gained for our Formula One team not only an experienced motorsport specialist, but also a longstanding enthusiast of the Mercedes-Benz brand. Together with him and Niki Lauda, we will further develop our motorsport activities and guide our Silver Arrows into the next era." Wolff is also a shareholder in HWA, which runs Mercedes' DTM team, and said he is looking forward to upping his involvement in Mercedes' motorsport activities. "Mercedes is one of the most important participants in motorsport worldwide," he said. "I am not only a big fan, but also a longstanding friend and enthusiast of the brand. I am looking forward to the challenge and, along with preparing for a successful racing season, also want to focus on the targeted promotion of new talent. "I am leaving Williams on good terms and I will miss the team and friends I have made there. 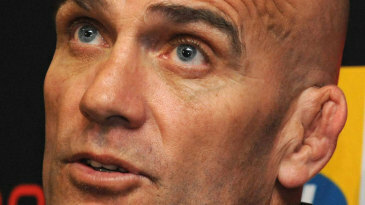 I'd also like to wish Frank and the whole of Williams the best of luck for the future."